Tyres Gator has one of the largest selections of wheels for your truck, SUV, or car, including 15” wheels. 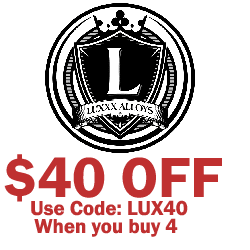 Don’t pay more for the world’s best wheel brands like Luxxx Alloy, Revolution Racing, Venom, Helo, and VCT Racing when you can get them for a great price at Tyres Gator. Our buying power allows us to give you huge savings that just can’t be matched by other online wheel stores. Browse our 15” wheels to find the set that you need in order for your car, truck, or SUV look great and drive great. Shop with us today for all of your vehicle tire and wheel needs!